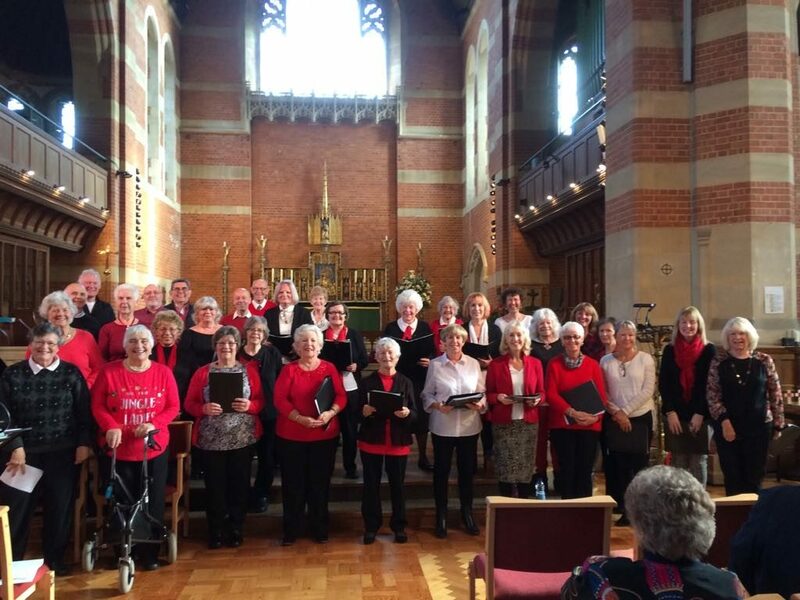 On Saturday November 17th, Just Sing Bognor were pleased to perform at the St Wilfrid’s Church Autumn Fayre. 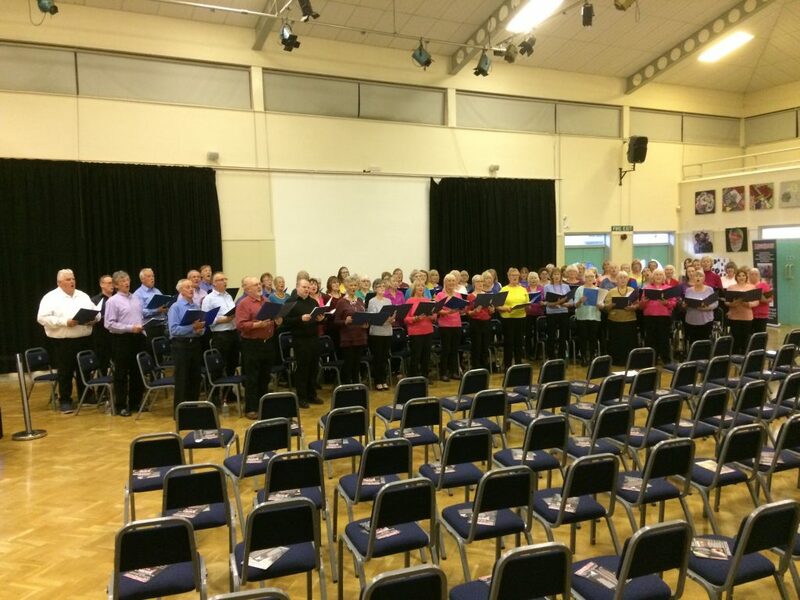 A huge thanks to everyone in the choir, you have all worked so hard and sounded brilliant!! 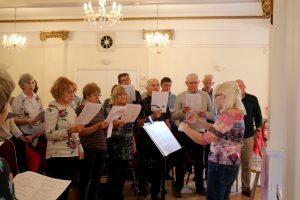 Felpham Community Singers gave a fabulous performance at their Autumn Concert on 13th November. 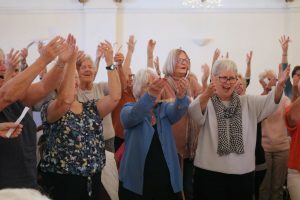 Enthusiasm and joy shone through their singing and the audience clearly enjoyed all the songs and the great atmosphere. 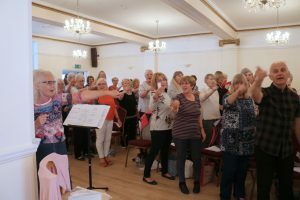 Thank you to everyone who helped with the raffle, either donating prizes or selling tickets as this choir managed to raise a massive £421.00 for St Wilfrid’s Hospice. …at Brick Kiln Garden Center, in the cafe, on Friday 14th of December from 12:00 – 14:30. 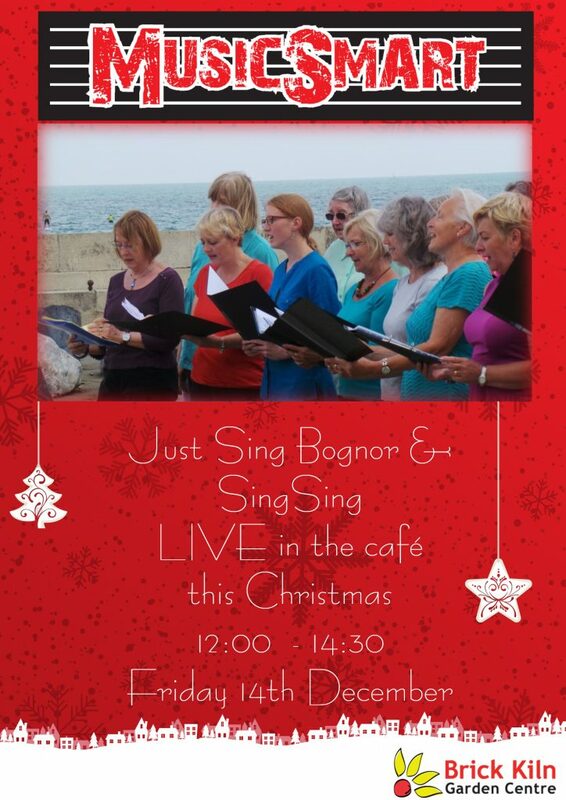 Join MusicSmart’s Just Sing Bognor and SingSing choirs for some festive singing and treat yourself to some tea and delicious cakes from the cafe. We hope to see you there, we have a brilliant line-up planned for you all. 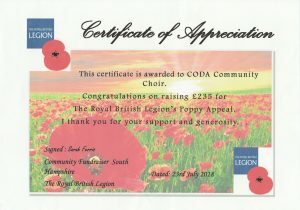 Once again, a huge thank you to Felpham Community Singers and Coda Community Choir for this fantastic effort! 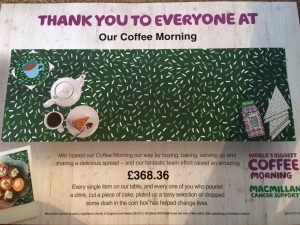 We’ve received this lovely certificate from MacMillan thanking us for our part. Thank You once again, You’re all superstars! Who doesn’t love music from the Swinging Sixties? 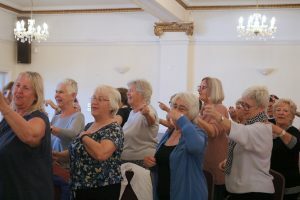 This past weekend saw us at MusicSmart host another fantastic Singing Saturdays event…We Couldn’t help falling in love with Elvis, “Wah-wah-wah-wondered” along with Del Shannon and We were there, reaching out with an action-packed, MusicSmart version of The Four Tops’ popular, 1966, Motown song on our Swinging Sixties day. 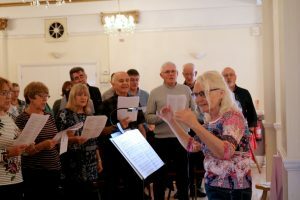 Along with our band, Paula’s excellent playing and Hilary’s brilliant direction, we all sang and grooved to some old favourites as well as some lesser know sixties songs. 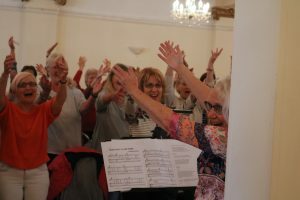 There were harmonies that blew us away and a few challenging corners, which you all rounded superbly…creating a genuinely fab sound. Thank you all! We’ll see you all again on December 1st, for our “Songs from Films”…same time, same place, same tasty tea and cakes! 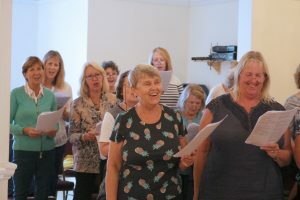 Booking is open for December’s Singing Saturday. …Singing is so much more than just making a beautiful sound, its a feel-good, full brain work out! 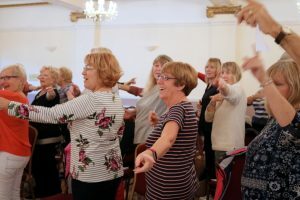 Many people have said to us that they leave after a choir session or singing lesson, feeling refreshed, revitalized, happy, and full of the joys of life…how does this work? Watch this video that we have found for a really great explanation! 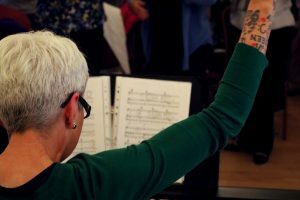 If you’ve just started singing, or know someone who would like to, but maybe doesn’t yet have the courage, pass this mail on to them and see if it spurs them on. We always love having new members join in. We’d love to hear your thoughts on the subject! Singing Saturdays to round out the year! 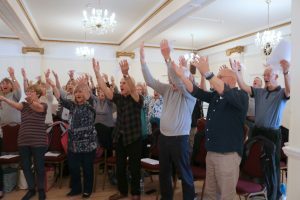 We know you’ve been waiting for your next healthy dose of singing in a large group of lovely, happy people on a Saturday…GOOD NEWS…dates for the next two Singing Saturday events are here!! Here at MusicSmart, we’ve got you covered. 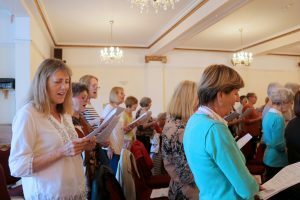 We’ve put together two lively programs of music for our upcoming singing dates. Here’s the scoop. On October 13th we’ll transport you back to the “Swinging Sixties“with a full program of firm favourites, and some not so familiar ( though we’re confident that every song will strike a chord with someone). Come December 1st, we’ll once again be entering the wonderful world of “Songs from Films“. This was so popular that we just had to have another go at it…so many good songs to fit in. As always, you can book via the website, just visit our lovely new calendar, choose your date, or both dates, and register! If you’re on Facebook, you can visit the events section on MusicSmart’s page. 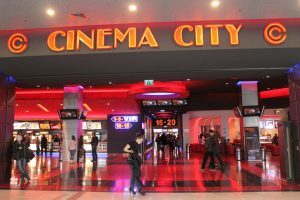 When you book, you will not be asked to pay, as payments are taken on the door. Please do let us know if you’ve booked and cannot make it, whatever the reason, as there are a limited number of spaces. *Tea/Coffee/cake/biscuits will be served, but please feel free to bring some lunch if you’d prefer. *Please see our information on each event, regarding parking. Bring your partners, friends, neighbours and come along and sing with us, we can’t wait to see you there. 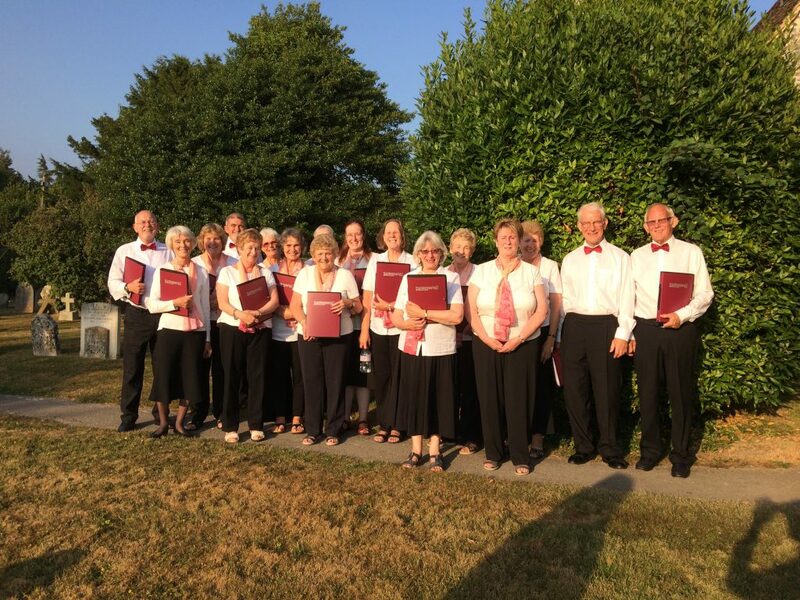 Coda Community Choir performs at Fishbourne. 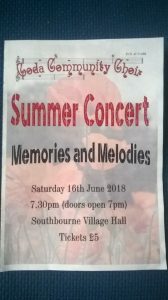 Friday July 13th, Coda Community Choir performed at Fishbourne Church hall as part of a fundraising evening. 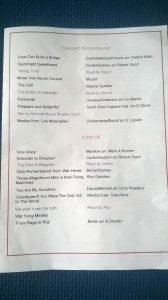 We performed a selection of songs from our Summer Concert…it was very well received. 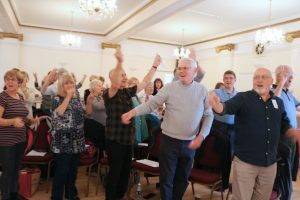 Concert for Coda Community Choir! 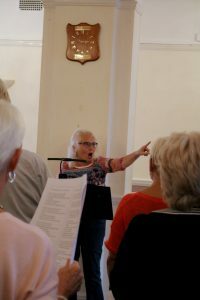 Saturday June 16th saw a gathering of eager, well-rehearsed, Coda Community Choir Members and their families and friends. 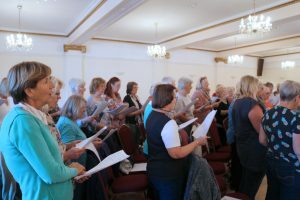 Our choir performed a range of songs, as well as a selection of readings along the same themes as our songs…Thank you to Hazel, Glynis, Lesley and Ray for stepping forward to do the readings. Just to say to all involved, huge thanks for working so hard to produce a fantastic concert…the choir sounded brilliant. We had lots of positive feedback after the concert. MusicSmart sends our congratulations all ’round! 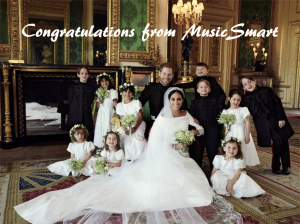 MusicSmart would like to send their congratulations to Harry and Megan and would love to offer a special discount for your special day too. Book your wedding pianist before the end of July 2018 and receive 10% off the package of your choice. Congratulations to the new Mr and Mrs Mepham! MusicSmart were delighted to play at the wedding of Abigail and Christian in the beautiful setting of St Mary’s, Bramber on 19th May. May we take this opportunity to send our best wishes for your future.